Ahmad Haj Sayyed Javadi, Iranian defense lawyer and politician, who served as the first interior minister after the 1979 revolution died today in Tehran at the age of 96. He was one of the leading members of the National Front and later the Liberation Movement of Mehdi Bazargan, the first post-revolution prime minister. He was elected to the parliament after the revolution. During the shah’s regime, Haj Sayyed Javadi defended many political activists including the future supreme leader Ali Khamenei. After the revolution, he continued defending the opponents of the growing autocracy. For his outspoken defense of human rights he was imprisoned a number of times in the Islamic Republic, who was now led by Ayatollah Khamenei, his old client during shah’s dictatorship. During the time he served as the interior minister he helped this blogger who was then the youngest editor-in-chief of a daily newspaper in the country to maintain the permission to publish the paper until the Bazargan government fell after the hostage taking incident. We extend out deepest condolences on the passing of a champion of human rights to his family and to all freedom loving Iranians. 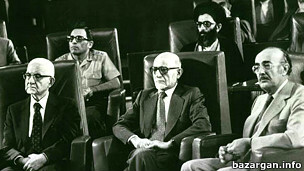 First row from right: Ahmad Haj Sayyed Javadi, Interior Minister; Mehdi Bazargan, Prime Minister; Yadollah Sahabi, Minister without Portfolio. The peace talks have found urgency as the U.S. and NATO troops prepare to withdraw from Afghanistan by the end of 2014. 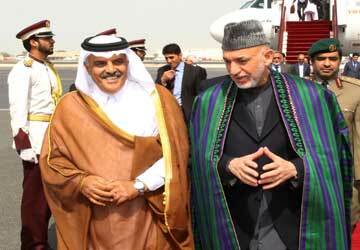 The Qatar News Agency (QNA) said Karzai met with the emir, Sheik Hamad bin Khalifa Al Thani, and other senior government officials on Sunday. It also said he held talks with Qatar's ambassador to Pakistan. 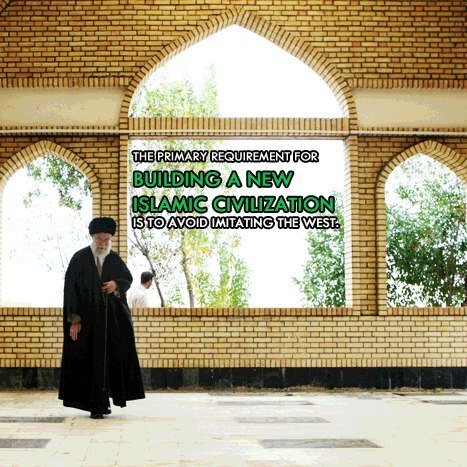 Iran’s Supreme Leader Ayatollah Ali Khamenei just twitted a message on development of Islamic civilization along with a new Facebook photo. 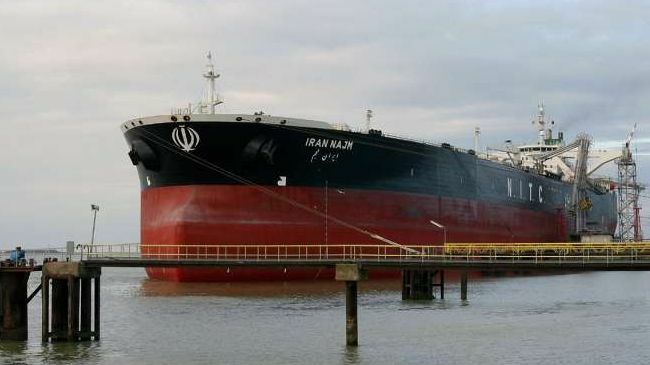 The Indian refiners using Iran Heavy crude, state-run Mangalore Refinery & Petrochemicals Limited (MRPL) and Essar Oil Ltd, cannot obtain insurance coverage from local companies to purchase 100,000 barrels of Iranian oil they need on daily basis. Without the ability to obtain coverage due to Western sanctions, the refiners will have to switch to different types of crude from other OPEC suppliers, a costly process. However, a $400 million fund might not be large enough to provide local coverage to the refineries.